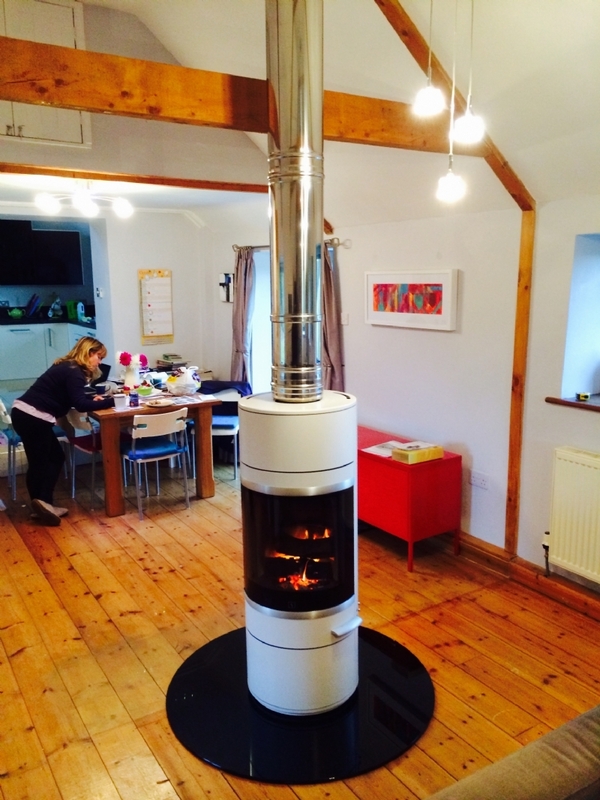 Rotating Woodburner, Scan 83 in white wood burning stove installation from Kernow Fires. 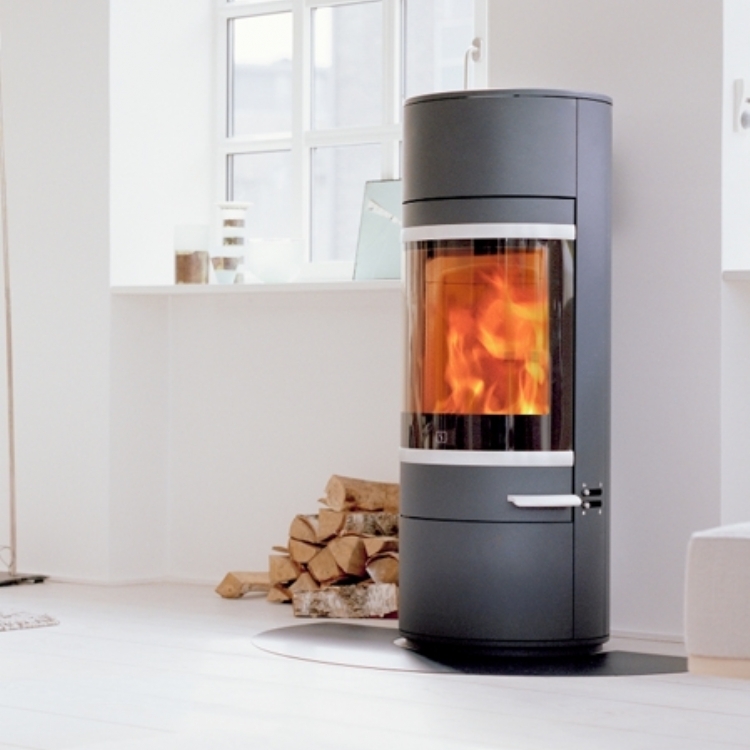 The Scan 83 in white on a rotating base works really well in this large open plan room. 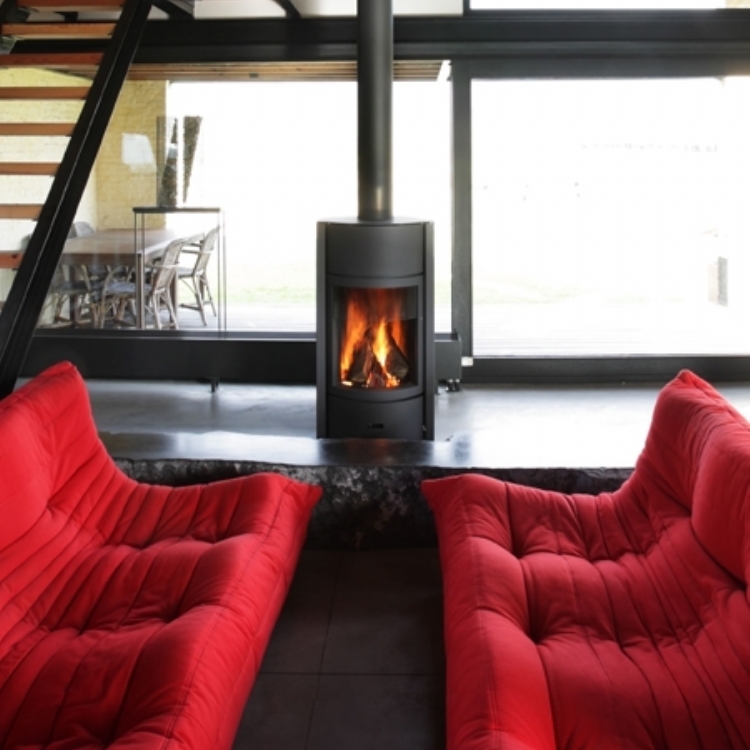 The chimney is made from twin wall which goes from the rotating collar right the way through the house. 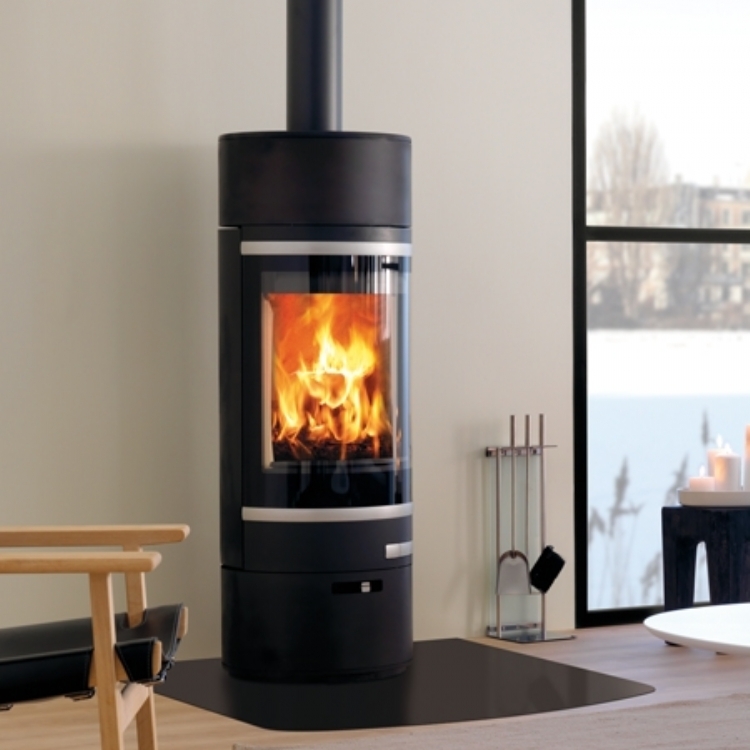 The circular glass hearth was made to order.